Sue Evans and Charlotte Petersen are the musicians of the SEMusic Flute and Harp duo. On occasion we are asked to add musicans to form trios and quartets. Sue and Charlotte are lucky to work with a group of professional musicians to form larger ensembles, providing a range of music styles – Classical, Modern, Scottish and Jazz. We play a large range of repertoire, some of which can be found on our YouTube channel SueEvansMusic. Sue Evans started playing the flute at the age of 10, and went on to study at the Royal Scottish Academy of Music and Drama (RSAMD, now the Royal Conservatoire of Scotland). Sue gained a B.A. (Musical Studies) and a M. Mus (Flute Performance, RSAMD), spending a short spell of her studies at the Rimsky-Korsakov St. Petersburg state conservatory, Russia. 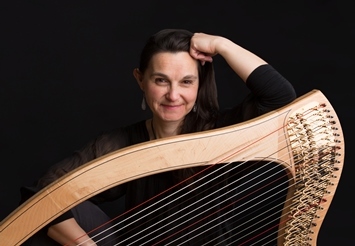 After graduating, Sue worked with the Royal Scottish National Orchestra (RSNO), Scottish Opera, Scottish Ballet, BBC Scottish Symphony Orchestra, Scottish Chamber Orchestra, Ludus Baroque and the Dunedin Consort. In parallel to her orchestral playing career Sue set up Silverstrings flute and harp duo in 1996. 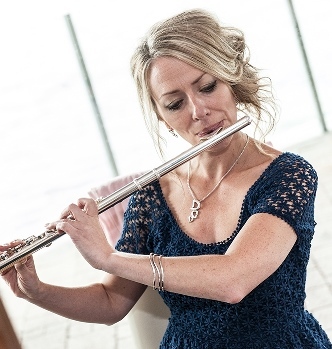 Sue still performs regularly, as well as teaching flute and music theory at one the leading independent schools in Edinburgh and the Edinburgh College. She regularly appears at venues such as Gleneagles, the Royal Yacht Britannia, Glamis Castle and Holyrood Palace.